Hand copying sutra is called “Shakyo” in Japanese. 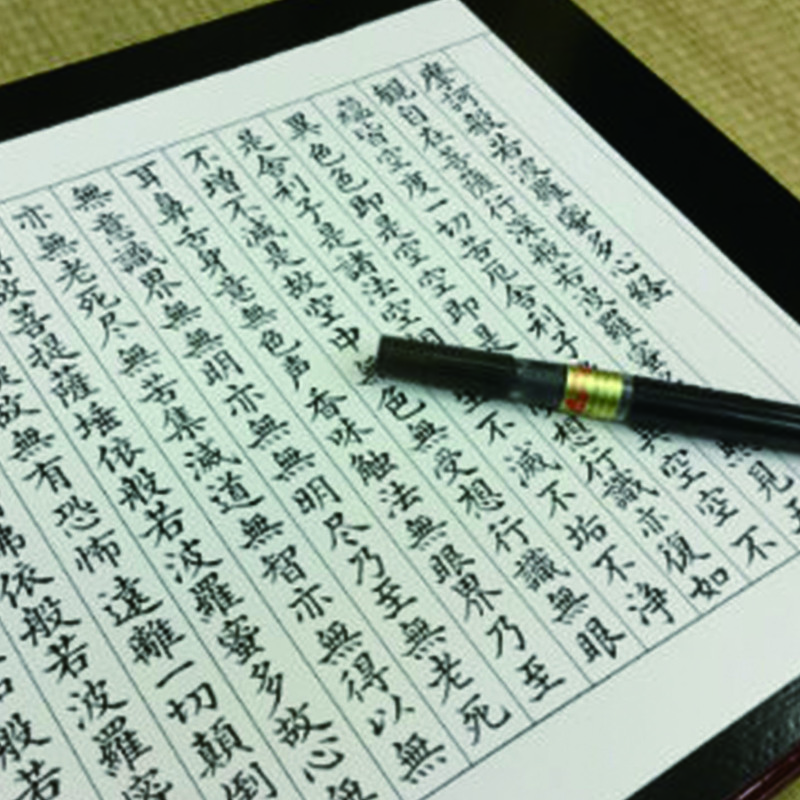 The practitioners just trace each stroke of the Chinese characters on the paper which have already been printed out from the backward. It is not so difficult to trace them but requires us concentrations. Just like practicing a meditation, copying sutra also brings us peace of mind.